Was talking to Mick yesterday after just taking delivery of one of these from the good people at Fish Head. He asked if I'd post some pics and my early impressions at it is the ideal spec for eging. In those pics it is sitting on my bream rod however when I get a chance to do some eging it'll sit on a Majorcraft Crosstage CRS-782SL. 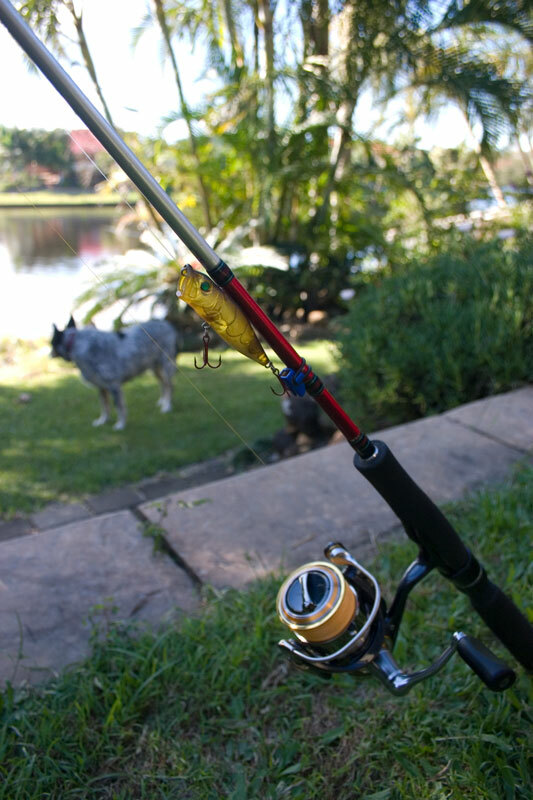 It is actually a seabass rod but is also great for throwing small egis in the 2.5 range. 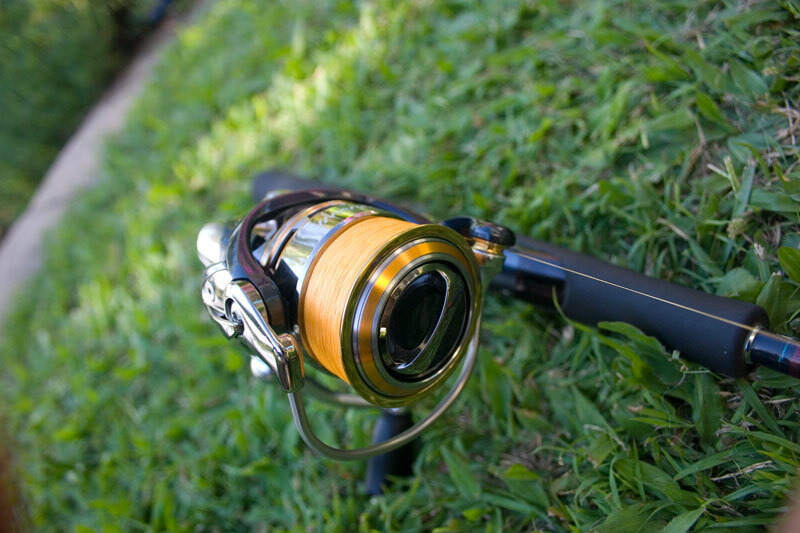 When playing with the reel it feels extremely solid and refined. 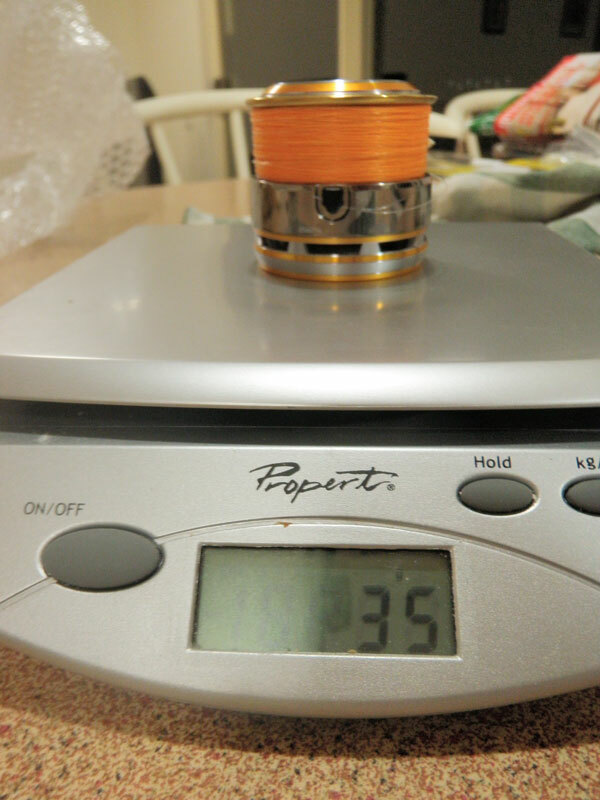 I'm a big fan of full metal construction and will happily trade 30 extra grams of weight for a more robust reel. Speaking of weight, when you remove the spool you instantly notice just how damn light it is. I don't have an old Daiwa 2506 spool to use for a more relevant comparison, but when compared to an old 2500 spool the difference is substantial. They don't call it an Air Spool for nothing! The main reason for purchasing this model was the new Mag Seal technology. I fish a lot and my gear is constantly exposed to salt water. Pretty much every spinning reel I have used has suffered from intrusion even with careful maintenance. I'm hoping the new system they have developed can alleviate the problem a little. Having only had the reel for less than a day I haven't had much of a chance to get a feel of its performance. I went and caught a bunch of fish on it last night and I can say that it feels incredibly capable, solid and reliable. The finesse drag is fantastic even if it has that typical horribly loud and abrasive ratchet sound. 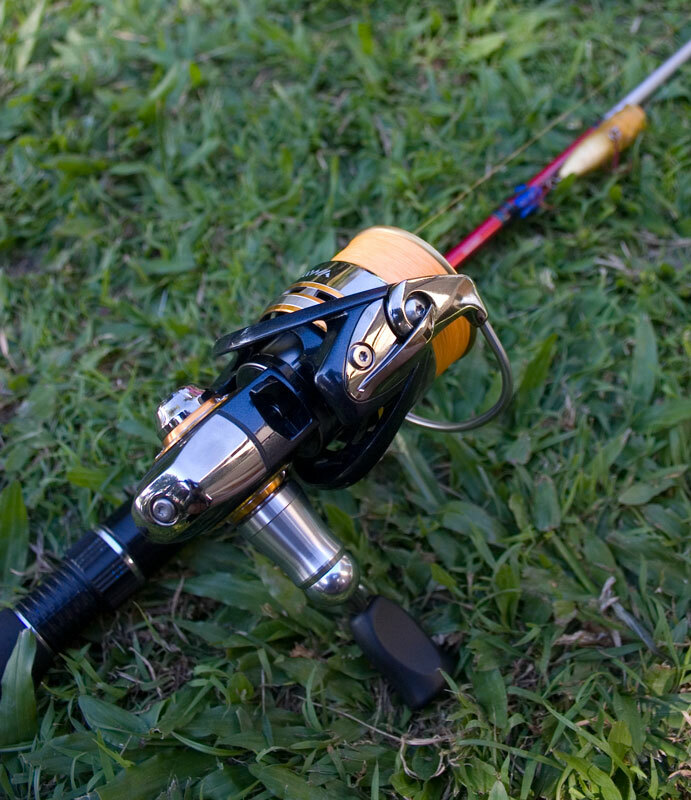 I really wish they would make it sound more like a Shimano drag and actually create a pleasing sound. Anyway, hopefully over the coming months I'll be able to get out in the bay and try it out on some big squid. I'll update this thread over time if I have anything else to add. Nice one Dan i will weigh my old 2506 air spool and see if their is much weight difference between it and the new. Thanks alot mate for the review. I have been interested in hearing about the new certates and how they perform.Seen and had a play of them in the shops,but using one is of course different again. That spool is incredibley light hey! I know how much you have used(and abused )certates and to hear such that you are happy with the new one is pleasing. Nice, Had a look at the new certates a few weeks ago with Kyke. They feel impressive, looking at getting a 3000size for some longtail/snap action. How much line are you getting on with the 2506 btw? 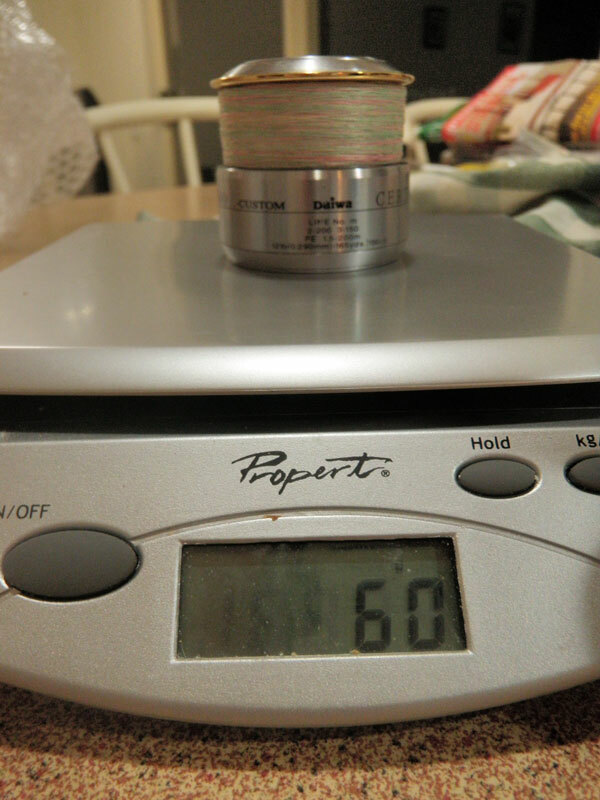 Have changed the line on it to a partially used spool of PE 0.8 braid and didn't spool it originally so not sure, but at a guess what they state which is 140m of PE 0.8 seems accurate maybe a little conservative. I now have two of the new certates. Got a 2004 and a 2500. Had the 2004 for coming up to 12 months now. I can't say a bad thing about it, accept it has to go back to Daiwa for servicing. Even with a small 2kg drag in the 2004 it doesn't have a problem consistently landing 65cm flat head. I bought the 2500 2 days ago and from first impressions it is everything I knew it would be. The 7kg drag in the 2500 is probably a bit excessive for what I do but I'm just gonna buy the 2506 spool and switch the spools to suit the fishing I am doing at the time. Have also ordered the spool bearing for both then 2004 and the 2500 so I will let yas know how much of a difference it makes to the reel. I'll post the bearing part number up when I get them tomorrow so other people can do the bearing to if they like. Also thinking about ordering the knob bearing too.